In IZZY's words, This song emphasizes the need to consistently surrender to the Lordship of Jesus every day. A reference for this song can be found in John 8:12- Jesus spoke to the people once more and said, I am the light of the world. If you follow me, you won’t have to walk in darkness, because you will have the light that leads to life. The US-based Nigerian Gospel minister is very passionate about Jesus as he sees Him to be the foundation of every believer's life. It is his prayer that anyone that hears this song will always see the need to turn to Jesus for every and anything. The song "FOLLOW" is an infusion of Afro and highlife blend to give its listeners an appealing feel of great music, and most importantly retaining its message. 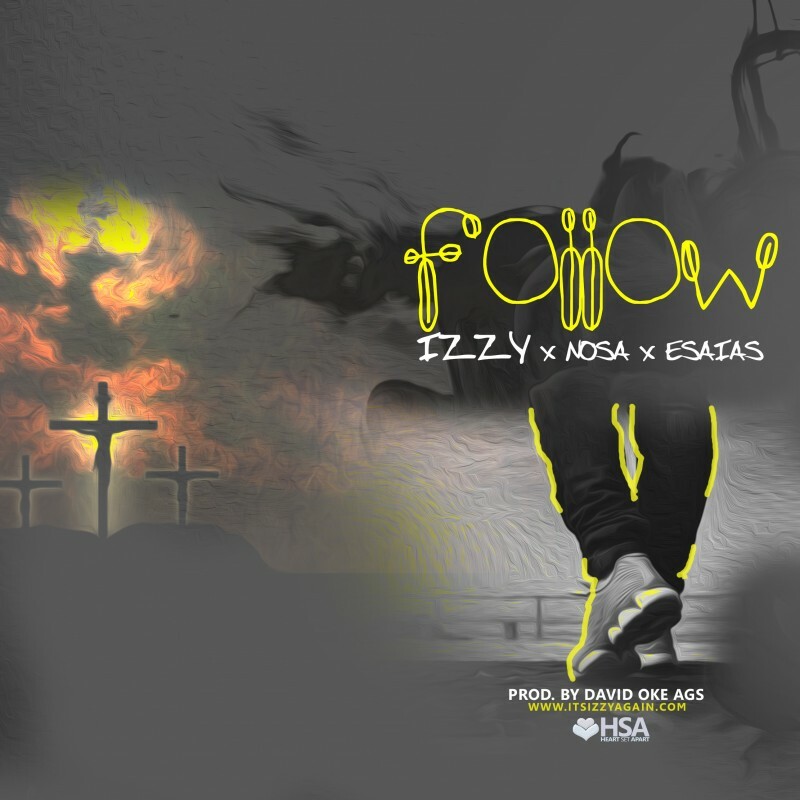 “FOLLOW” is produced by David Oke (AGS) and mixed by Izzy and features one of Ghana's finest urban gospel artist, Esaias and Nigeria's very own Nosa.